Prior to the launch of the OnePlus 6 earlier this year, rumors for the device’s build materials considered a wide range of possibilities. This speculation is natural since the company is known for its ingenuity when we consider aesthetics. At its launch, the smartphone featured three color variants, which included a Silk White color option. Now, the company might launch another color option for the smartphone, if our hunch is correct. Take a look below for more details. If there’s one thing that OnePlus doesn’t lack, it’s marketing ingenuity. The company takes a hands-on approach with its upcoming gadgets, choosing to use the media directly by teasing specifications and features. In fact, some of the most relevant specifications for the OnePlus 6 were revealed by the company itself prior to the device’s launch. These include details of an 8GB variant, a display notch and a relocated alert slider for the smartphone. Now, things are heating up for a red variant of the OnePlus 6. 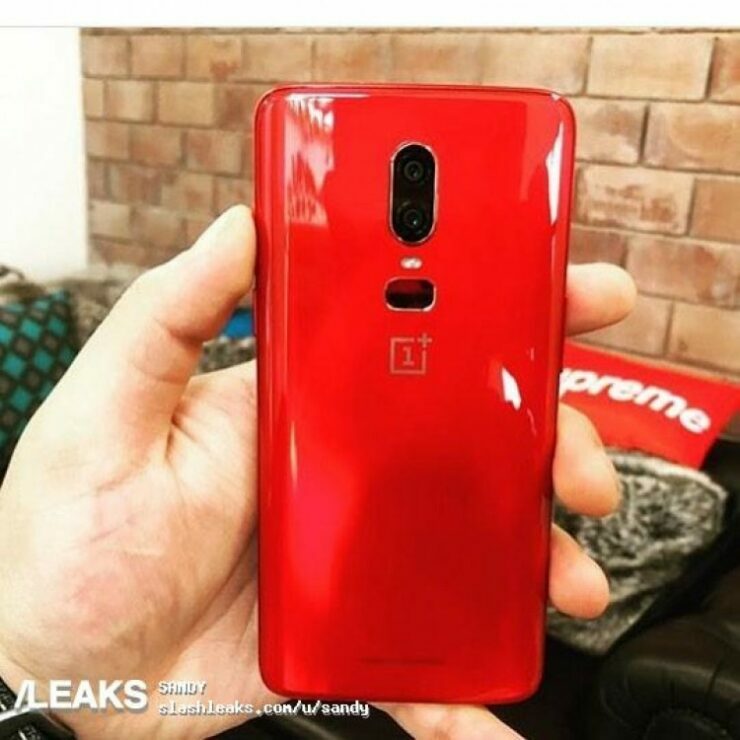 It started off with web video producer Marques Brownlee sharing an image of red smartphone that’s directly behind the Midnight Black variant of OnePlus’ latest flagship. OnePlus, as usual, could not resist and proceeded to post a teaser video on its Twitter, which came with the tag ‘C61422‘. This is the RGB value for dark red and further contributes to expectations of a Dark Red color variant for the OnePlus 6. If you’ve been saving up for the OnePlus 6 and haven’t made the purchase yet, there might be some incentive for you to hold on; especially if you love the color red on smartphones. Following in line with earlier hints of a Red color variant of the device, two images of the alleged device have now surfaced. The images, shown above, display the OnePlus 6 with a Red glass back, which we’ll choose to dub as ‘Mirror Red’ since its resemblance with the Mirror Black variant of the smartphone is striking in terms of reflection. Additionally, the device appears fantastic aesthetically and competes for aesthetics head-on with the current Silk White variant of the OnePlus 6. 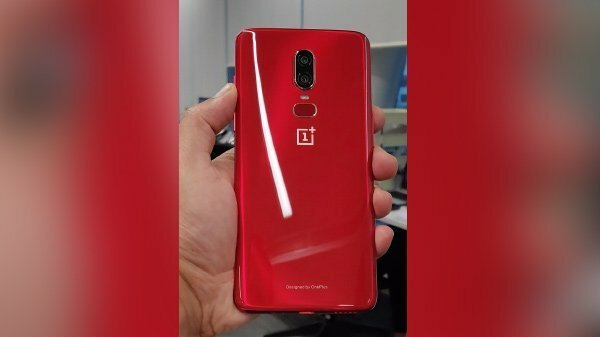 Furthermore, chances of a Mirror Red OnePlus 6 are particularly high if we consider last year’s Lava Red OnePlus 6. Red is a fantastic color option which caters to both the genders and OnePlus is cognizant of the fact. Thoughts? Let us know what you think in the comments section below and stay tuned. We’ll keep you updated on the latest.